CALM is striving to create a community where teachers, parents and children work together to provide the strongest possible start for children in our community, thereby reducing the strain that child abuse puts on our schools, our healthcare system, and our community. Much of child abuse and neglect is identified through children’s behavior in school and other out-of-home settings. We know that only a fraction of children who experience abuse receive individual treatment. CALM is committed to doing more for all of the children in our community. We are reaching beyond the walls of our building, beyond the homes of our clients to create the social change necessary to support and strengthen even the families who do not receive direct service. 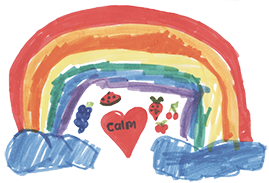 Therefore, CALM partners with many other organizations to support them in their work with children. Our partnerships include schools, law enforcement, family resource centers and even health care. By engaging with all organizations and systems that work with youth, CALM can help strengthen our community, all of our caregivers, and make lasting changes.